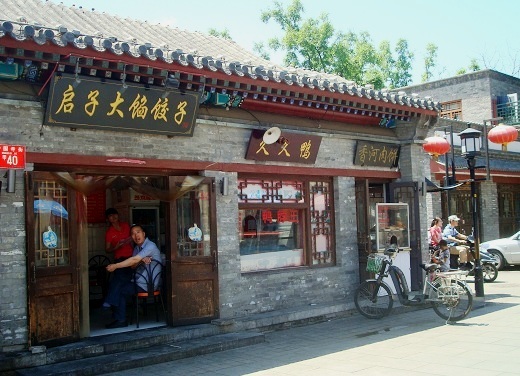 Beijing Huguosi street is a famous food street with a history of over 800 years since first formed in Yuan Dynasty. 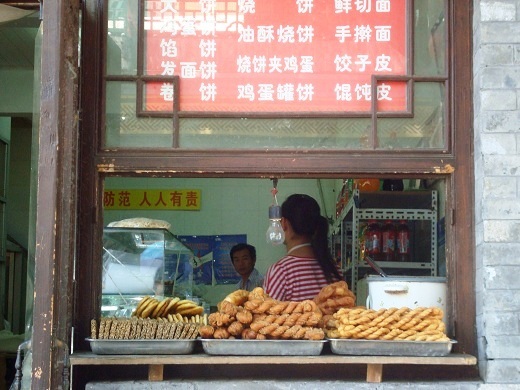 Apart from the traditional Beijing style architectures, you can see food shops lined up along the street. Each of them provides their own special snack food. The fun of visiting the food street is that you can just walk along the street and sample different types of snack food. Because they normally come with small portion, which won't fill up your stomach that quick. For me, it's just a good way to taste more food. For example, this is a dumpling shop for dumplings with large stuffing. Next to it, there are one duck shop and one bing shop. (Bing is kind of food similar as pie or pan cakes in the western country). Because Beijing is located in the north of China, wheat is the main food to provide carbohydrate. 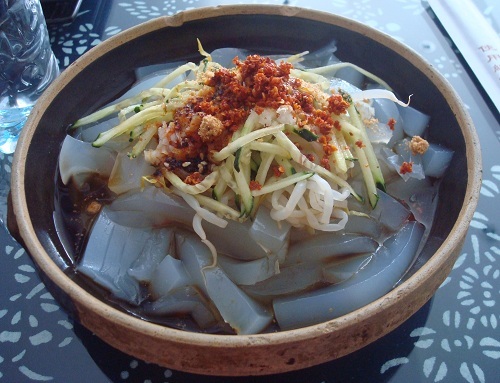 (In the south of China, the main food is rice). 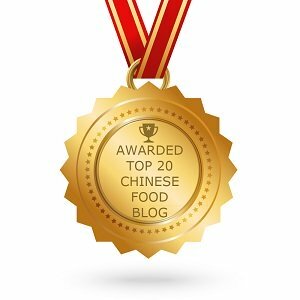 So you will see lots wheat-made food in Beijing. See this is the snack stalls especially for bing. Here is a food shop that has many different types of snacks, such as noodles and bing, which can be served for main meals. The food near the window is called mahua, which is the deep fried, twisted dough strands, normally tastes slightly sweet. Mahua can have different sizes or shapes. 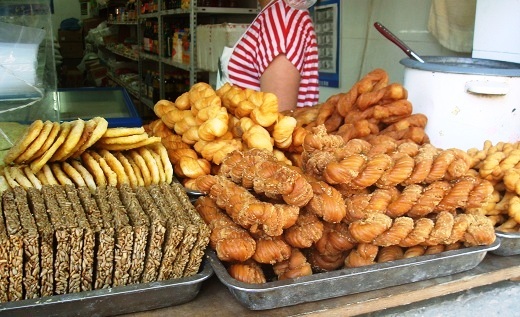 In the south part of china, such as in Hunan, we have mahua small as thumb, or thin as one chop stick; some may have sesames wrapped outside. 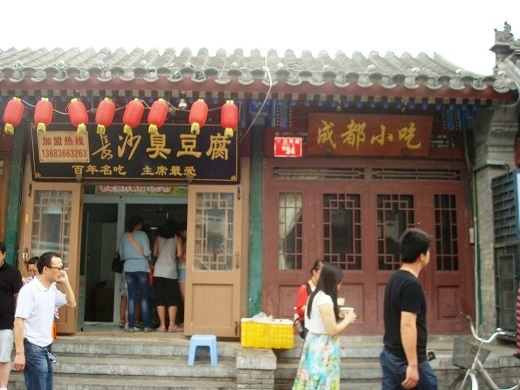 Apart from Beijing snacks, you can also find other regional food at Beijing Huguosi stree, such as Hunan Changsha stinky tofu, Sichuan Chengdu snack bar, Hangzhou small steamer dumplings. I even found a Yunnan food shop and tasted my favourite Yunnan style mung bean jelly. 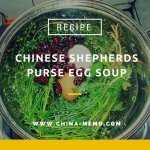 Like Sichuan style salad, this Yunan style mung bean jelly is bursting with flavour, togather with chilli, vinegar, garlic and spring onions, delicious. 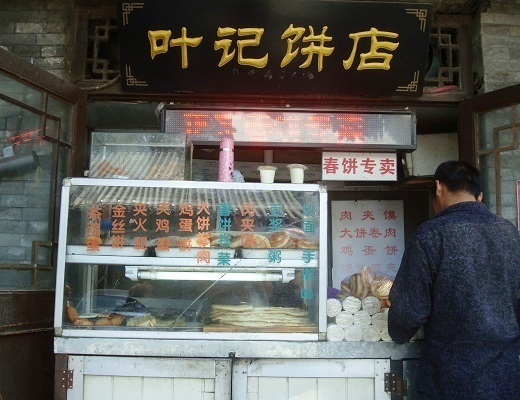 Continue read: Beijing Huguosi Snack Bar: Taste of Old Beijing (3).